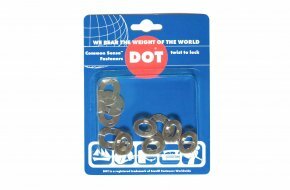 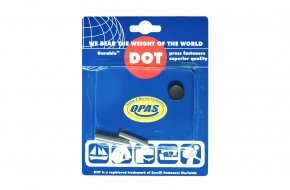 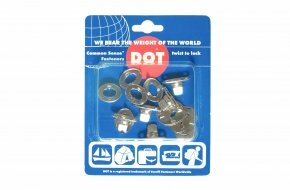 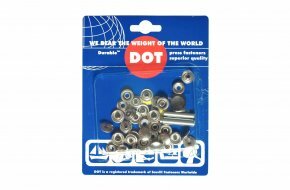 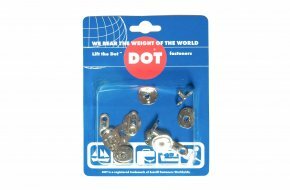 Some of our most most popular DOT fastener products are available in economical OPAS Easy Packs. Offering a simple way to order matching sets in smaller quantities, these cards are only available from OPAS and are great for retailers wanting to easily manage in-store displays. Cloth-to-cloth type. 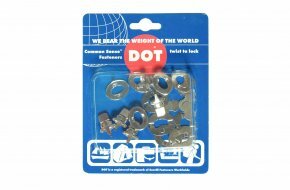 Cards contain five 2-part turnbutton sets (turnbutton and back plate) in nickel plated brass. 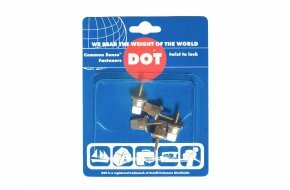 Cloth-to-wood type. 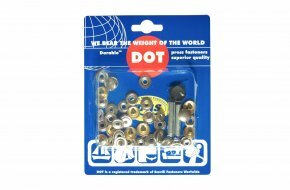 Card contains 5 turnbuttons with wood screw in nickel plated brass (woodscrew is in unplated brass). Cloth-to-cloth type. 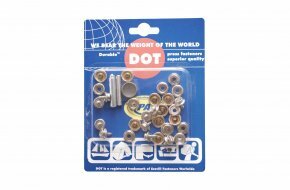 Cards contains ten 4-part press stud sets in stainless steel. Cloth-to-wood type. Contains ten 3-part sets with screw-in wood stud, socket and button in nickel plated brass (woodscrew is in plated brass).